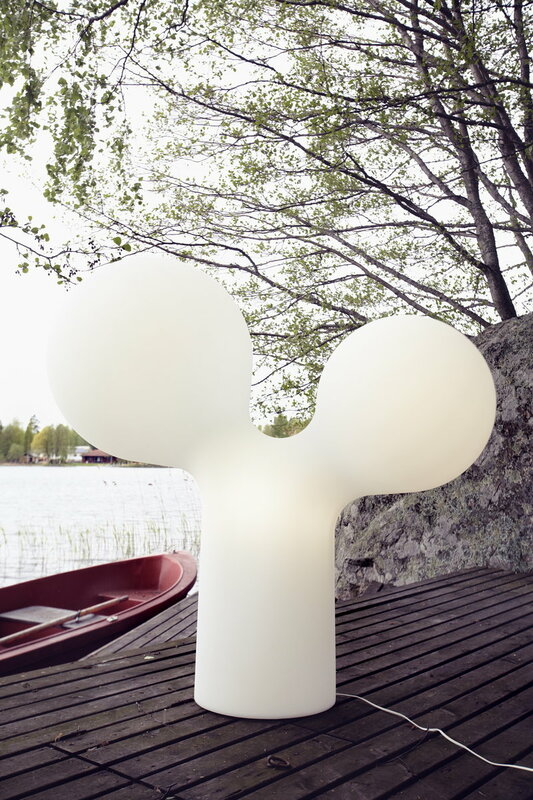 The Double Bubble lamp is a distinctive Scandinavian design classic from the year 2000 by the celebrated Finnish designer Eero Aarnio. 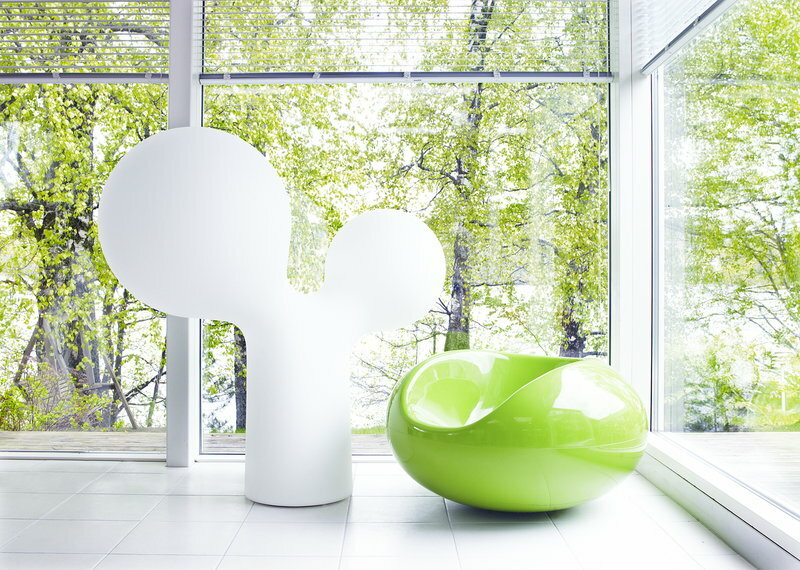 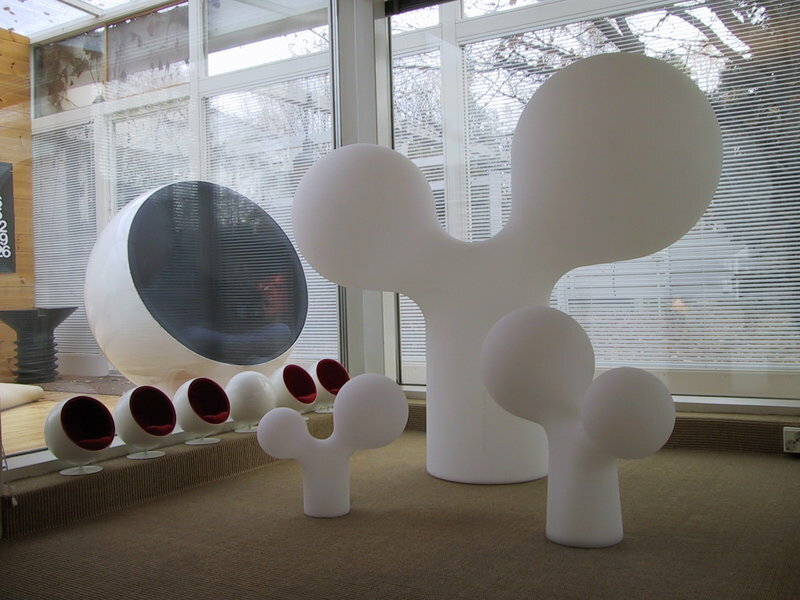 Double Bubble, or Tupla Kupla in Finnish, was initially created from blown glass but was ultimately cast in plastic to ensure durability and uniform colour of light. 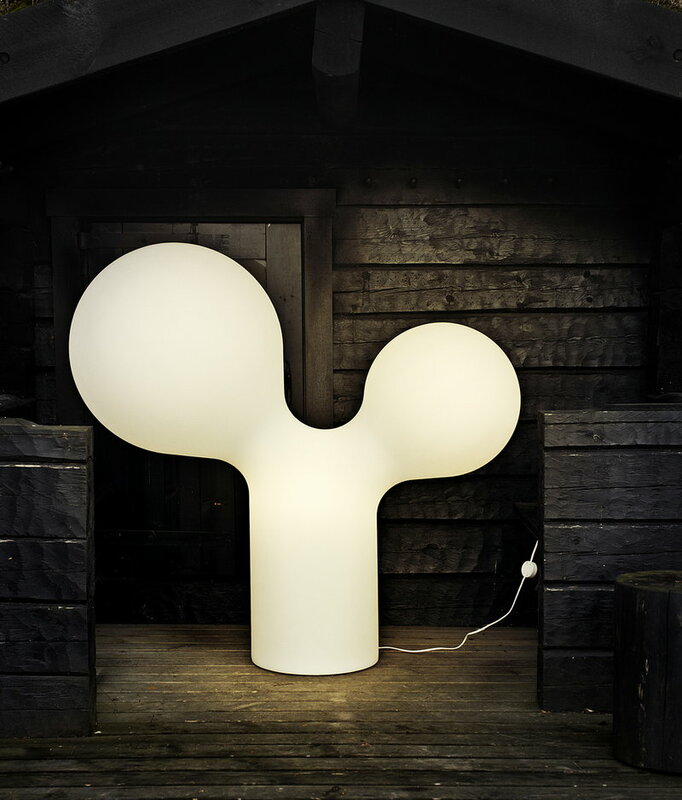 To light up evenly and smoothly its curvy shape, Double Bubble is fitted with three light sources: one in each bubble and one in the leg.